In the process of determining and verifying the market sizes gathered through secondary research for several segments and subsegments, extensive primary interviews have been conducted with key officials in the VOC sensors and monitors market. The report profiles key players in the VOC sensors and monitors market and analyzes their market rankings. Players profiled in this report are FIGARO (Japan), ams AG (Austria), Alphasense (UK), Dr?gerwerk (Germany), Honeywell (US), Aeroqual (New Zealand), Siemens (Germany), Extech (US), Global Detection Systems (US), and USHIO (Japan), Spectrex (US), Compur Monitors (Germany), Riken KEIKI (Japan), and GfG Instrumentation (US). This report segments the VOC sensors and monitors market by device type, application, and geography. The report also describes major drivers, restraints, challenges, and opportunities pertaining to this market; it also includes value chain and market ranking analyses. The report segments the VOC sensors and monitors market comprehensively and provides the closest market size estimation for all subsegments across major regions. 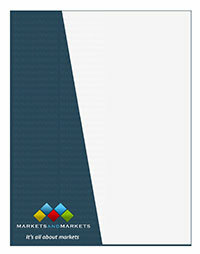 The report will help stakeholders understand the pulse of the market and provide them with information on key drivers, restraints, challenges, and opportunities pertaining to the VOC sensors and monitors market. With the competitive landscape section describing the competitor ecosystem, the report will help stakeholders understand their competitors better and gain insights to improve their position in the VOC sensors and monitors market.